You can simply visit Cawarden and make your selection with the help of our friendly and experienced staff. 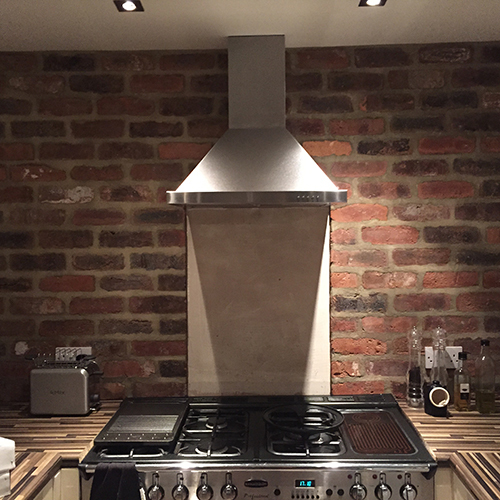 You can email a picture of your requirement to info@cawardenreclaim.co.uk or simply complete the form found below and on receipt of your picture we will then contact you to advise which brick, tile etc. is the nearest match to yours. You may of course wish to receive samples of our stock to confirm the “match”. We are more than happy to post a sample to your address or deliver it to you via our sample van (please note we may charge for these particular services). Whichever method of sample delivery you chose, you can be confident that our staff with their wealth of knowledge and experience will match your sample as closely as possible. 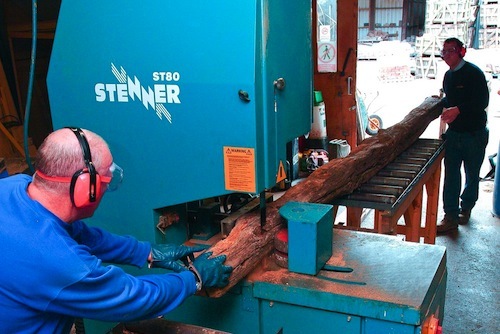 Cawarden offers a timber cutting and finishing service. We have our own onsite "resaw" machine (pictured above) capable of cutting both reclaimed and seasoned beams up to 300 mm in depth. Although we sell many beams in their "raw" state, an increasing number of customers are taking advantage of our finishing services, which includes insecticide treatment, sanding, profiling, staining and waxing, so whatever level of finish you require Cawarden can fulfil your requirements. We have a large well-equipped workshop that specialises in bespoke joinery, and can make and supply anything from a simple window board to a conservatory. Cawarden stocks a large range of reclaimed and new interior and exterior doors. We can also manufacture doors to your own specification in oak, tropical hardwood (from a sustainable source) and new or reclaimed pine. The doors in reclaimed pine have the added advantage of giving an instant period effect to any home. Brick slips provide a wall effect by cutting a "slip" of a brick to produce just the face.This can give the effect of a full brick wall At Cawarden we provide a brick slip cutting service all on site. The brick can be selected and cut to produce the brick slip to your requirements. We also have a wide range of slips in stock ready to use. Delivery service also available throughout the country call or email for more information. 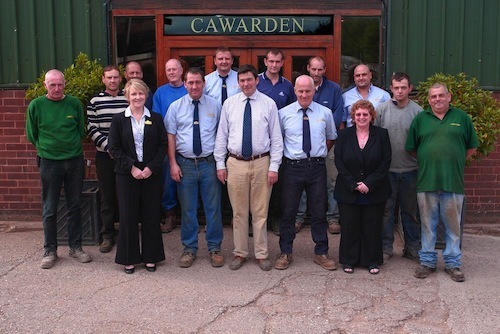 The staff at Cawarden have many years of experience in the reclaimed and period building supply industry. Customers are assured of a friendly welcome when visiting the yard coupled with professional and well-informed advice regarding their requirement, after all we have over 100 years experience between us! All of the below named staff are helped by a larger team of helpful and well motivated people too numerous to mention. 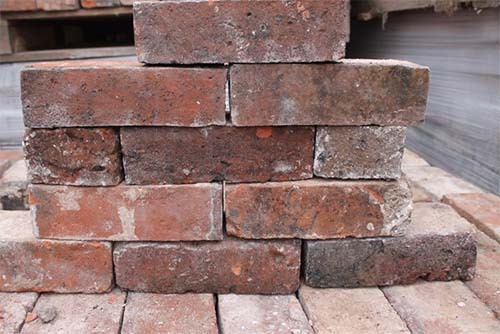 Although we are the largest supplier of Reclaimed and Period building supplies in the United Kingdom we are still very much a family business and our staff are dedicated to providing you, the customer, with a high level of service. Richard Parrott founded this family business over 25 years ago and in that time has acquired a huge knowledge of the industry, he is still very heavily involved in the day to day running of Cawarden. Ian Robinson was one of the co-founders of Cawarden and is acknowledged as one of the foremost experts on reclaimed bricks and tiles in the country. Russell Idiens is the back bone of the technology at Cawarden. Russell deals with the up keep of the website and also deals with all of the divisions on the sales front. Sean Regan is in charge of our Timber and Flooring division with over 15 years experience in the timber industry - if you require a wood floor, a beam or a door he is your man! Vena Gent is our Accounts and administration manager and ensures that the business runs smoothly from dealing with enquires, taking and processing orders to making sure that deliveries go on time. Ruth Cope is Vena’s assistant and is the keystone in our front of house team. David Akers is the brickyard foreman in charge of making sure that all materials in his charge are stored in a neat tidy safe and accessible manner, along with ensuring all orders are correct and supervising their loading. David has worked at Cawarden since leaving school many years ago! He in fact worked for Richard’s father when Cawarden was a working farm. Kevin Walker is the Tile yard foreman with similar duties to David Akers but his area of responsibility is roofing materials. Kevin is also one of the first people to be employed by the company.